RES ROME IN HISTORY: SECOND CONSECUTIVE TRICOLOR! 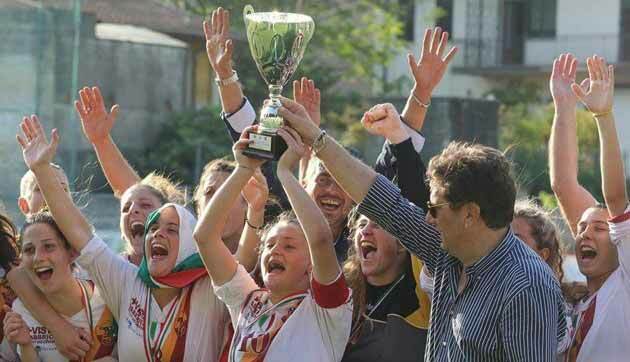 2-1 the Mozzanica and is confirmed as a champion of Italy, winning the second consecutive championship and rightfully entering the history of Italian women's football. Clear the supremacy of the Giallorossi that in addition to the two goals scored, have touched the goal in many occasions, hitting two posts and forcing the goalkeeper of the Mozzanica to at least four major interventions. To this must be added several refereeing decisions against, and two clear scoring goals not materialized by the Giallorossi strikers. Read more: RES ROME IN HISTORY: SECOND CONSECUTIVE TRICOLOR! All in ninety minutes: tomorrow 28 June 2016, at 17, at the "Bozzi" stadium in Florence, Res Rome will face the Mozzanica in the final Scudetto of the national Spring Championship 2015 / 16. 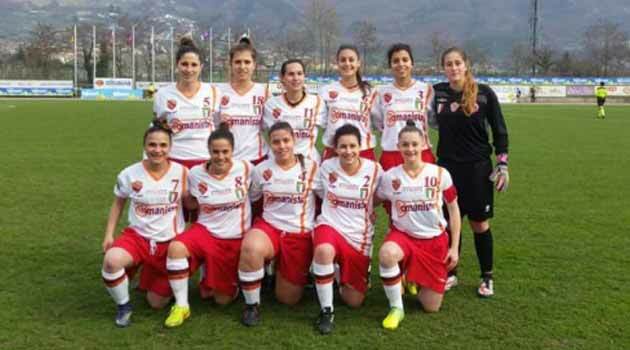 Just over a year ago, exactly the 12 2015 of June, the Giallorossi won their first tricolor, on penalties against Fiorentina, and at a distance of only 54 weeks can repeat and enter the history of Italian women's football, centering a historic Bis. 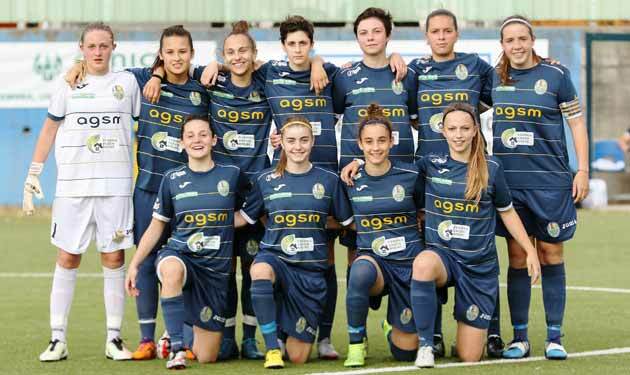 Captain Palombi and companions come to the big event after having won the regional league Lazio hands down, and after having eliminated in the national phase Jesina, Castelfranco and Napoli; similar route for the Mozzanica, which after triumphing in the Lombard championship, has eliminated Amicizia Lagaccio, Luserna and Verona. RES ROMA, REMUNTADA DA ... FINALE! With a poker of goals Res Roma beat Napoli in the semifinal of the return of the Primavera championship, turn the 2 1 right away in the first leg, and get the pass for the final Scudetto, where the Giallorossi will face the Mozzanica, which eliminated Verona; opens the Simeone dances, emulated by Greggi and Simonetti, and closes the new entry Natali, who signs the definitive 4 to 0 that allows the capitoline to defend the tricolor won last year against Fiorentina. The Roma Res starts well and keeps the ball of the game for all ninety minutes, leaving only a couple of occasions to the parties throughout the race. At the third minute Simeone tries from the distance but sends up; at the sixth exchange Greggi Simonetti and ball in the middle for Palombi who from a few steps lost the right moment for the conclusion to the net. Read more: RES ROMA, REMUNTADA DA ... FINALE! Epic race for the baby Gialloblù dell'Agsm Verona that reassemble the Mozzanica touching the qualification for the final championship. From the 2-0 for the Lombards, the Veronese pass on the 2-4 one step away from the qualification before the final 3-4. The spring teams of Mozzanica and Agsm Verona face each other on a hot afternoon, with 36 degrees of temperature on the pitch, in Bergamo. Up for grabs the landing to the final for the attribution of the youth shield. 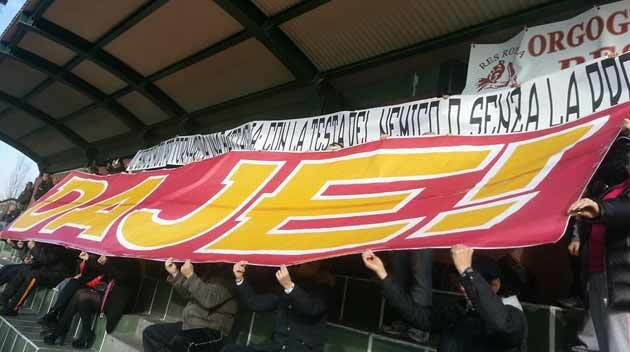 Hopes reduced to light for the Verona after the 0-3 suffered the first leg. One on each side the changes in the eleven holders: Verona with Dal Molin from the first minute instead of Mero, Mozzanica that lines Martella in attack on the place of Edoci, confirming the national Giugliano with the number ten shirt.